We would like to encourage you to PLEASE visit these websites and DONATE your TIME or MONEY!. Let’s celebrate those who are helping make this world more incredible! Desert Club’s 2018 Christmas Idea House will be showcased in Gilbert, Arizona, near Lindsay and Pecos Roads. The 6,000 square foot, custom home is situated on one acre of beautifully landscaped property. The stunning estate will be transformed into a Christmas wonderland, open for the public to tour and purchase thousands of unique holiday gifts and décor artfully displayed. All proceeds from this event will provide need-based scholarships to deserving young students and benefit local charities. The Christmas Idea House has become a holiday tradition and lures thousands of visitors each year. It is the primary fundraiser for Desert Club, a 72 year old, all-volunteer women’s service organization. The event is held at a different luxury home each year in locations throughout the East Valley. Desert Club members decorate the home from top to bottom with holiday décor, unique and handcrafted gifts and gourmet goodies, all for sale and ranging in price from $12 to several hundred dollars each. One hundred percent of the proceeds are given back to the community in the form of scholarships to in-state college students and grants to local charities. To date, Desert Club has awarded almost $2.7 million. Be the first to tour and shop at this year’s Christmas Idea House before it is open to the public! Join us Thursday, Nov. 29th for the 2018 Holiday Soiree and Preview Party, a festive evening filled with music, cocktails and a wide array of gourmet hot hors d’oeuvres. Doors open at 5:30 pm with the Idea House remaining open for viewing, shopping and socializing until 9:00 pm. Kick off your 2018 holiday season with our Holiday Soiree Brunch or Lunch on Friday, Nov. 30! Enjoy a festive beverage of your choosing, along with delicious quiche, gourmet croissant pastries, and a variety of salads. Join us and share this joyful event with your friends or family. Socialize and shop as you tour this year’s home before it is open to the public! The home will be open for Public Tours and shopping on Friday, Nov. 30 from 4 – 8:00 p.m. and on Saturday, Dec. 1, from 9 a.m. – 4:00 p.m. Tickets are $12 each and can be purchased at the door, from a Desert Club member or at www.christmasideahouse.org. Guests may receive a $2 discount by bringing at least one canned food item, which will be donated to a local food bank. We would like to encourage you to please visit these websites and donate your time or money. Let’s celebrate those who are helping make this world more incredible! Desert Club’s 2017 Christmas Idea House will be showcased in the beautiful Pecans subdivision in Queen Creek, Arizona. The home near Ellsworth and Chandler Heights Roads will be transformed into a Christmas wonderland, open for the public to tour and purchase thousands of unique holiday gifts and décor artfully displayed. All proceeds from this event will provide need-based scholarships to deserving young students and benefit local charities. The Christmas Idea House has become a holiday tradition and lures thousands of visitors each year. It is the primary fundraiser for Desert Club, a 71 year old, all-volunteer women’s service organization. The event is held at a different luxury home each year in locations throughout the East Valley. Desert Club members decorate the home from top to bottom with holiday décor, unique and handcrafted gifts and gourmet goodies, all for sale and ranging in price from $5 to several hundred dollars each. One hundred percent of the proceeds are given back to the community in the form of scholarships to in-state college students and grants to local charities. To date, Desert Club has awarded almost $2.7 million. Be the first to tour and shop at this year’s Christmas Idea House before it is open to the public! Join us Thursday, Nov. 30th for the 2017 Holiday Soiree, a festive evening filled with music, cocktails and a wide array of gourmet hot hors d’oeuvres. Doors open at 5:30 pm with the Idea House remaining open for viewing, shopping and socializing until 9:00 pm. Kick off your 2017 holiday season with our Yuletide Brunch or Lunch on Friday, Dec. 1st! Enjoy a mimosa or another beverage of your choosing, along with some quiche, gourmet croissant pastries, and a variety of delicious salads. Join us and share this joyful event with your friends or family. Socialize and shop as you tour this year’s home before it is open to the public! 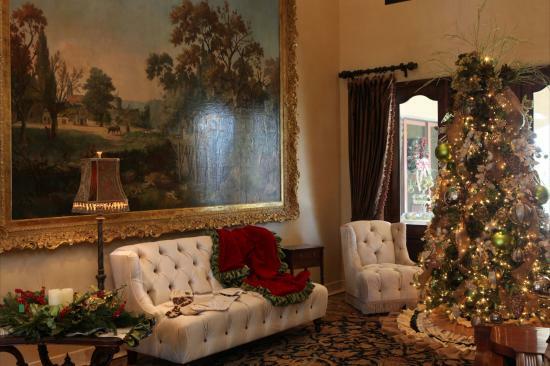 The home will be open for Public Tours and shopping on Friday, Dec. 1 from 4 – 8:00 p.m. and on Saturday, Dec. 2, from 9 a.m. – 4:00 p.m. Tickets are $12 each and can be purchased at the door, from a Desert Club member or at www.christmasideahouse.org. Guests may receive a $2 discount by bringing at least one canned food item, which will be donated to a local food bank. We would welcome all to please visit these websites and donate your time or money. Let’s celebrate those who are helping make this world more incredible! Desert Club’s 2016 Christmas Idea House will be showcased in the beautiful Seville subdivision in Gilbert, Arizona. The 11,000 square foot, multi level, custom home is situated on 1.2 acres of beautifully landscaped property. 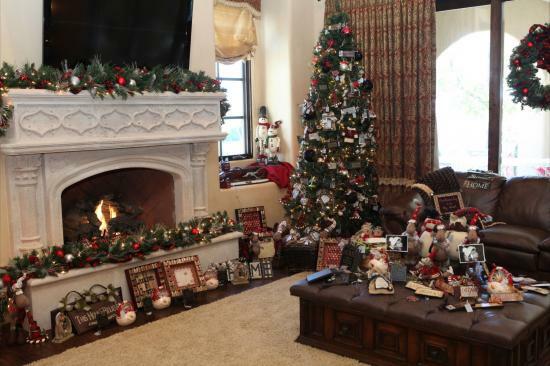 The home near Higley and Riggs Roads will be transformed into a Christmas wonderland, open for the public to tour and purchase thousands of unique holiday gifts and décor artfully displayed. All proceeds from this event will provide need-based scholarships to deserving young students and benefit local charities. The Christmas Idea House has become a holiday tradition and lures thousands of visitors each year. It is the primary fundraiser for Desert Club, a 70 year old, all-volunteer women’s service organization. The event is held at a different luxury home each year in locations throughout the East Valley. Desert Club members decorate the home from top to bottom with holiday décor, unique and handcrafted gifts and gourmet goodies, all for sale and ranging in price from $5 to several hundred dollars each. One hundred percent of the proceeds are given back to the community in the form of scholarships to in-state college students and grants to local charities. To date, Desert Club has awarded almost $2.7 million. Be the first to tour and shop at this year’s Christmas Idea House before it is open to the public! Join us Thursday, Dec. 1st for the 2016 Holiday Soiree, a festive evening filled with music, cocktails and a wide array of gourmet hot hors d’oeuvres. Doors open at 5:30 pm with the Idea House remaining open for viewing, shopping and socializing until 9:00 pm. 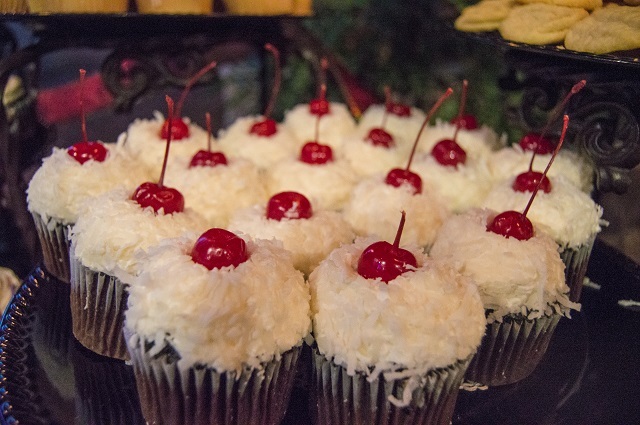 Kick off your 2016 holiday season with our Yuletide Brunch on Friday, Dec. 2nd.! Enjoy a mimosa or another beverage of your choosing, along with some quiche, gourmet croissant pastries, and a variety of delicious salads. Join us and share this joyful event with your friends or family. Socialize and shop as you tour this year’s home before it is open to the public! The home will be open for Public Tours and shopping on Friday, Dec. 2 from 4 – 8:00 p.m. and on Saturday, Dec. 3, from 9 a.m. – 4:00 p.m. Tickets are $12 each and can be purchased at the door. Guests may receive a $2 discount by bringing at least one canned food item, which will be donated to a local food bank. We are proud to announce the following students have received scholarships from Desert Club. We would like to congratulate the following students for receiving scholarships from Desert Club. This year’s Christmas Idea House, a Luxury Home Tour and Holiday Shopping Event, returns to the community of Las Sendas in Mesa from Dec 3-5th, 2015. Las Sendas, known for its city lights, and mountain views, provides an inspiring setting for this event, where visitors will discover thousands of unique holiday gifts and décor items on display and offered for sale with ALL PROCEEDS given back to the community. 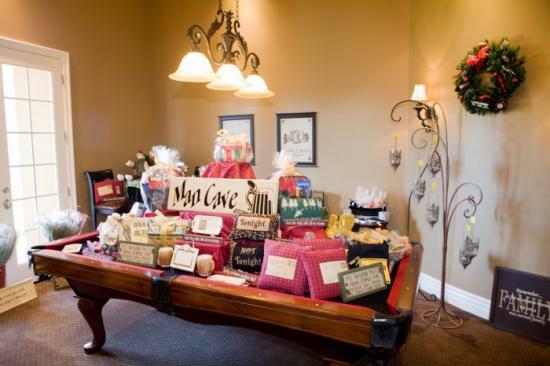 The Christmas Idea House, which attracts thousands of visitors each year, is the primary fundraiser for Desert Club, an all-volunteer women’s organization. The event is held at a different luxury home each year within the East Valley. 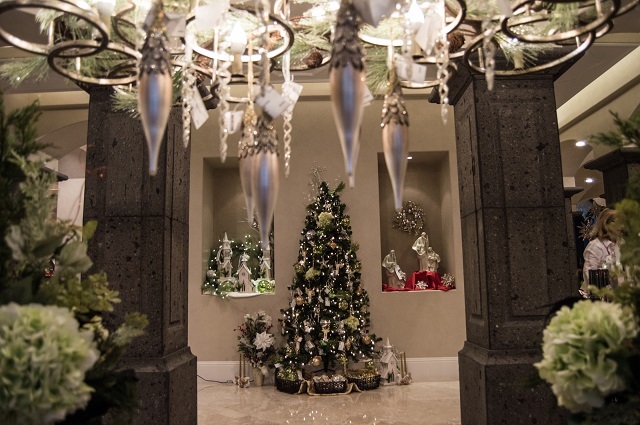 The homeowners generously “move out” of their home for the weekend, and Desert Club members converge to decorate it creating a holiday wonderland with hundreds of thousands of items including stunning holiday décor and gourmet goodies that range from $2 to several hundred each. All of the items are for sale, and all of the proceeds are awarded through need-based scholarships and grants to local students and charities. To date, Desert Club has raised and given more than $2.5 million. The Christmas Idea House kicks off on Thursday Dec 3rd at 6:00pm with the “Cocktail Soiree” which includes a first-look home tour, music, silent auction, food and drink served at the Trailhead Club (advance $60 ticket required). Friday Dec 4th reservations will be available for the “Mimosa Brunch”(9am seating $40 or 12pm seating $35) where guests enjoy gourmet-catered food followed by the Home Tour and shopping. 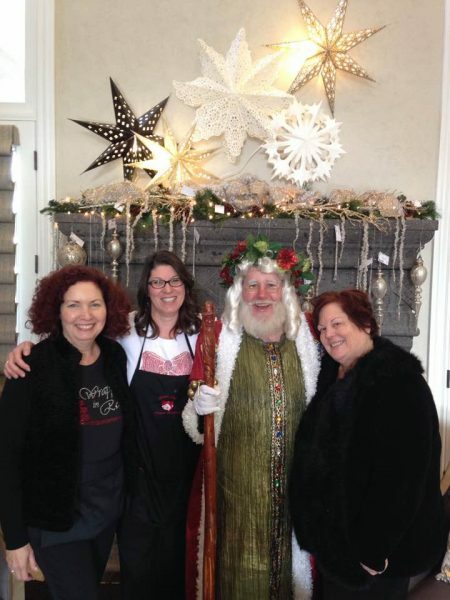 The home is open for public tours and shopping on Friday Dec 4th from 4-8pm and Saturday Dec 5th, from 9am-4:00pm. Tickets are $12 each. Guests may receive a $2 discount by bringing a can of food to donate. It’s about that time again for the Fox 10 News sneak peak at the house in a video tour! Give your holiday senses a taste teaser with this news reel . 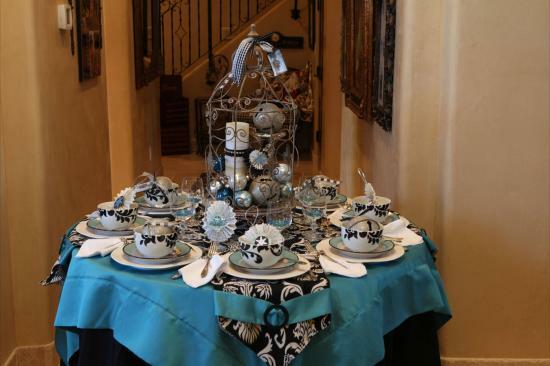 Each year, Fox 10 News teams with Desert Club and guides the media through the house before any of the events begin like the Luncheons, Gala, and public tours. Check out this news link for a preview of what is to come! 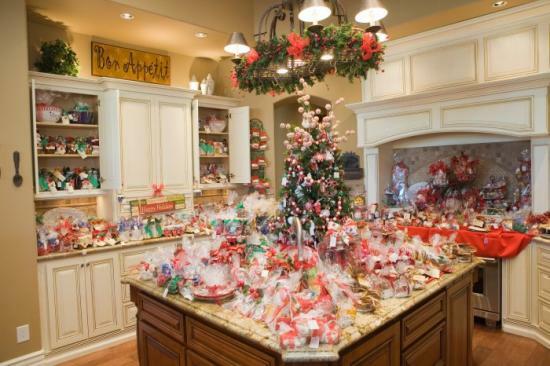 Get inspired at Christmas Idea House – FOX 10 News | fox10phoenix.com. What a grand year to have a Joyous Noel, you wont want to miss the Idea House this weekend! 9am-4pm. Bring at least one canned food item and get a $2 ticket discount at the door. Canned food will be donated to a local food bank. Hope to see everyone there! It will be a Christmas Delight starting tomorrow night! May the festivities begin!